Determination of nitrogen according to Kjeldahl The Kjeldahl method for nitrogen determination was developed in 1883 by the Danish chemist Johann Kjeldahl. 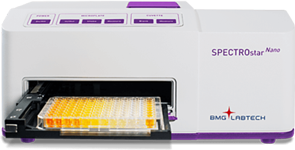 Entry-level gel imaging system with exceptional performance and safety features. The Omega Fluor is an entry level gel imaging system that comes standard with the basic components and exceptional safety features for DNA and..
DANI GC1000 gas chromatograph is very versatile and easy to use. Even with its extremely reduced dimensions it is fully equipped to satisfy the most demanding user. The flexible and adaptable basic structure can accommodate..
Time of Flight Speed is Knowledge The DANI Master TOF MS Plus has been designed for gas chromatography – mass spectrometry applications, bringing to the analyst the capabilities so far unachievable with quadrupole technology. Sturdy and Reliable Originally designed for government inspectors, the 4-inch Pawkit is a reliable water activity instrument for use on-the-go. The Minifors 2 is a compact and easy-to-use bioreactor with a full range of application possibilities. It is a complete package that enables both, beginners and experienced users to easily perform microbial applications. Astacus² models are designed for a daily consumption of less than 100 l and are equipped with a MemPak purification cartridge. The laboratory vertical autoclaves, in word LVSA, distinguish them self particularly through their low charging height and easy operation. The Bioquell Qube is a configurable isolator integrated with Bioquell’s Hydrogen Peroxide Vapor technology.